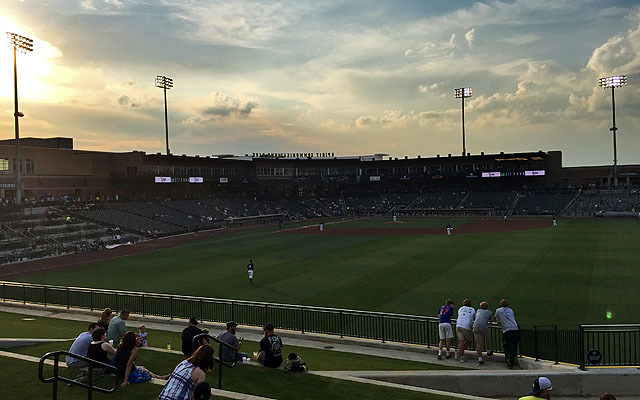 For the first time in a decade, a team in the South Atlantic League has opened a new ballpark. That team is the Columbia Fireflies, currently playing their inaugural season at Spirit Communications Park. The Fireflies -- Class A affiliate of the New York Mets -- relocated from Savannah following the 2015 season. 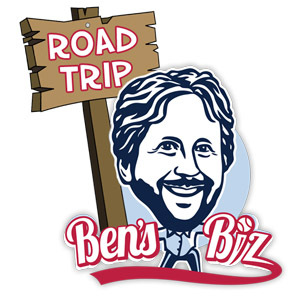 The team's Hardball Capital ownership group, led by Jason Freier, felt that Savannah was a viable market but that the Sand Gnats' 90-year-old home of Grayson Stadium was anything but. Talk of a new Savannah ballpark remained just that; meanwhile, the city of Columbia emerged as a willing partner for the erstwhile Sand Gnats. 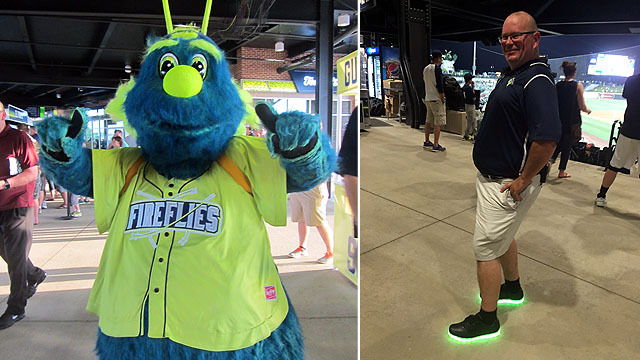 Thus, the team made the move some 165 miles northwest and became the Fireflies. The new moniker, chosen primarily as an homage to the light show synchronization annually displayed by fireflies at nearby Congaree National Park, ensured that the South Atlantic League remained the Minors' most insect-laden circuit (the Greensboro Grasshoppers and Augusta GreenJackets play in the SAL as well). 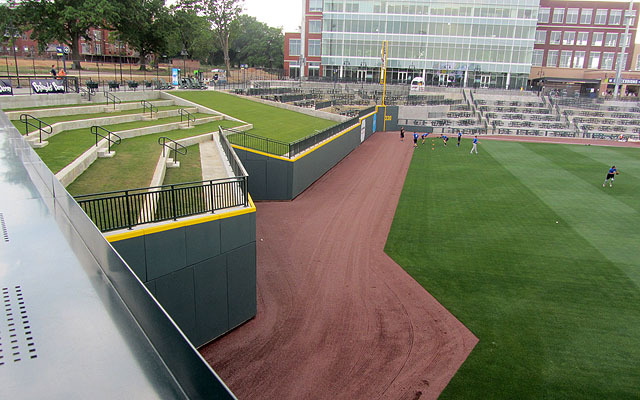 When Spirit Communications Park made its debut on April 14, it became the first SAL stadium to open since the Greenville Drive's home of Fluor Field in 2006. The Drive had previously played in Columbia as the Capital City Bombers. It's all come full circle now. Minor League Baseball has returned. 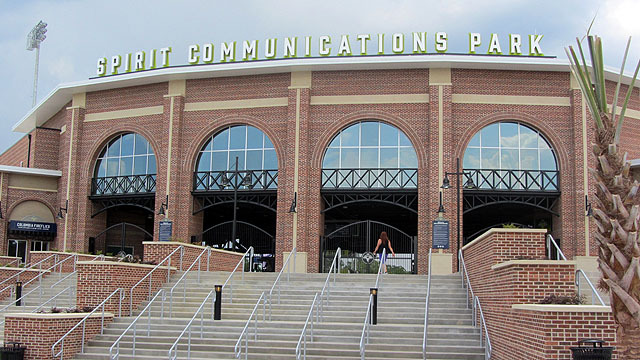 Spirit Communications Park, built for an estimated cost of $37 million, features a brick façade. This aesthetic choice ties the facility into its surroundings as it sits in the center of what used to be a sprawling campus for South Carolina's state mental asylum (which had sat empty for more than a decade). The asylum's iconic Babcock building -- which team president John Katz, formerly with the Sand Gnats, called "12 buildings in one" -- looms beyond right field. 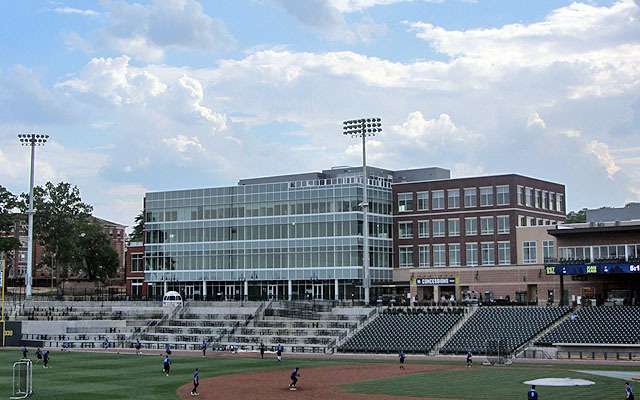 The ballpark is the centerpiece, both literally and figuratively, of a massive development project called "The Commons at Bull Street" (Bull Street being the main thoroughfare passing through the campus). 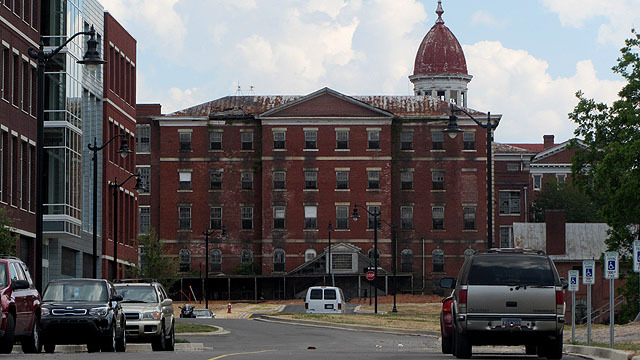 The project -- overseen by Bob Hughes, who was involved in a similar undertaking in Greenville -- calls for the entire hospital campus to be converted into a mix of residential areas, retail establishments and office space. Former asylum buildings will get a new lease of life. For example, what was the campus bakery (seen below on the far left) will soon house a tech-oriented shared office space community called SOCO. But for now, the Fireflies are lonely. 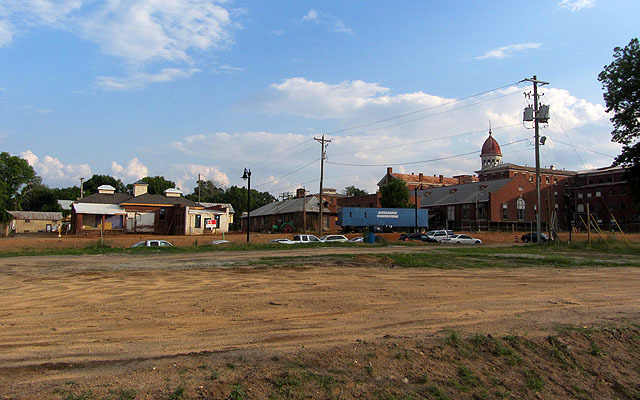 Despite the stadium's proximity to downtown Columbia, Spirit Communications Park cannot be seen from nearby major roads and is surrounded largely by dilapidated buildings and vacant lots. One of the first signs of life has come from the accurately named "First Base Building," an office and retail space whose first tenants, a law firm, moved in last month. 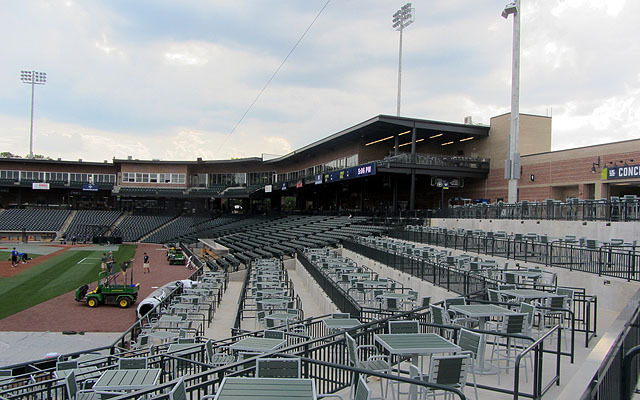 Hardball Capital also owns the Chattanooga Lookouts and Fort Wayne TinCaps; the latter's home of Parkview Field served as the primary model for Spirit Communications Park (both of which were designed by Populous). Both are downtown ballparks with a 360-degree concourse, large group areas, myriad seating options and a general emphasis on access and affordability. Almost all of the Fireflies' single-game tickets are in the $5 to $12 range, including the four-top tables in the "Bullpen Box." (Each table, seating four, costs $50). Katz called Spirit Communications Park a "masterpiece in engineering." For example, the left field side of the ballpark is situated 17 feet lower than the right field side and a level playing field had to be constructed atop this gently sloping piece of land. As for manmade eccentricities, the outfield wall is cantilevered on both sides of the center field batter's eye. This makes for some quirky power alley dimensions while allowing for some unique vantage points from the terrace berm. For many fans, particularly on the "Thirsty Thursday" evening for which I was in town, the most important vantage point is the one from the bar. The "Budweiser Bowtie Bar" is located in right center field, allowing ample room for socializing and, on the night I was in attendance, games of "Lawn Pong." As for concessions, the Fireflies opted to do everything in-house. 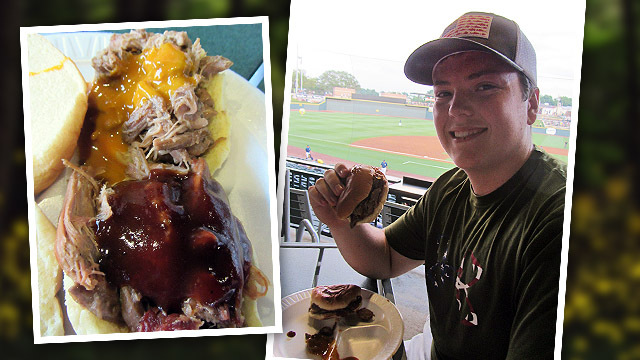 The food choices aren't as varied and spectacular as some other recent ballparks (Biloxi and El Paso come to mind), but they are in keeping with the team's overall emphasis on a streamlined, affordable experience. Perhaps the most unique options can be found at the Low-N-Slow BBQ cart, highlighted by pulled pork with sweet and spicy sauce and brisket with Carolina Gold mustard-based BBQ sauce. (The pulled pork is Katz's creation, and he'll tell anyone who'll listen that his recipe was chosen over three others during a preseason front office taste test). Even more luminescent than Carolina Gold BBQ sauce are the Fireflies themselves. 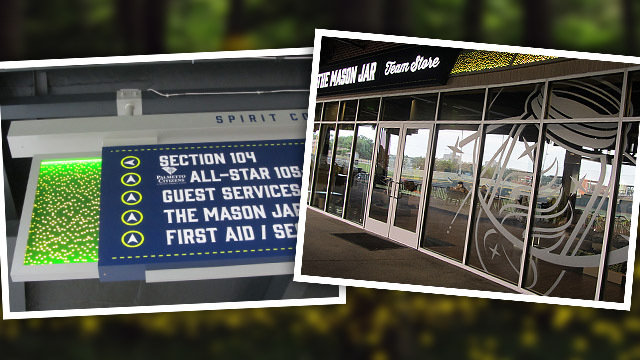 The team's uniforms feature glow-in-the-dark elements, and this unique aesthetic extends to the concourse directional signage as well as the exterior of "The Mason Jar" team store. The success of the Fireflies, long term, is largely reliant on the larger development project of which it is the centerpiece. But the team, overseen with confidence by an experienced ownership group and veteran front office staff, is off to a good start. Spirit Communications Park opened on time and within budget, with comparatively few hiccups from a game presentation standpoint. After a decade's absence, Columbia is officially back on the Minor League scene.